This effect was anticipated during the FOMC minutes of October 27 and 28, when members stressed inflation was turning around and current weak numbers were correlated with a slump in oil prices and a strong US dollar. In October, the consumer price index notably declined, while inflation was up 0.2% year-on-year. This increase of 1.9%, excluding food and energy, represented the largest move since June 2014. Economic conditions will continue to be scrutinized for long-term prospective outcomes. 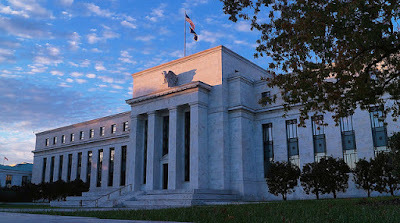 Worldwide geopolitical tensions could pose a serious challenge to economic growth in 2016; however, most Fed officials now agree that conditions are favorable for the first rate hike in nine years. Nonetheless, they will be gradual, with the risk remaining on the downside, considering poor labor participation and weak productivity. As a result, while Fed funds should increase, monetary policies will stay supportive of growth. Over the short term, stocks should continue their rebound. The next targets for the S&P 500 index could be 2100 and eventually 2170. Then, a period of consolidation is possible, even though the long-term picture remains bullish. At the contrary, the US dollar might be close to an important top. Why? A rate hike has been largely discounted in current prices. In addition, during the past 40 years, the US dollar has often trended at about 17% (top to bottom) against other currencies, followed by a correction of about 40% of the entire move. Since 2014, the US dollar index has risen by approximately 20% to 100. Considering also the huge technical reversal pattern currently in formation, in 2016, the US dollar index could decline to 94/92. The correction should only be temporary, as long-term fundamental conditions, such as favorable rate differentials with other countries, still point to the upside for the greenback. With just below 230,000 new jobs registered in August and September, the private sector stalled this past summer. While construction and manufacturing slowed, the big decline was seen in the service sector. On average, only 147,000 jobs were created in the three months leading up to September 2015 compared to the average 259,000 positions seen during the same period of 2014. The negative results might mirror a slowdown of economic growth in the US. As an example, the ISM purchasing manager’s survey showed a decline in activity. In particular, manufacturing has performed poorly. The ISM index fell 7.7 points to 50.2 in September. On the contrary, the non-manufacturing index was still at 57 points, which is significantly above the average. This could be a sign of more job creation ahead. Initial claims are at their lowest level of the past 15 years. October numbers confirmed that the US economy is still resilient. Manufacturing growth increased 0.4%, with durable goods orders rising 0.5%. In addition, US industry is still making good gains. Manufacturing output rose 1.9%, aggregate weekly hours worked increased 0.1%, and wages rose 2.1% year-on-year. Labor costs are steady, helping US exports, despite the strong dollar and weak global economy. Emerging countries’ growth, which includes almost 80% of the total output, is plummeting. Nearly 30% of Germany’s exports alone are delivered to emerging countries. In Germany, in the third quarter of 2015, the GDP increased by only 0.3% (quarterly) compared to +0.4% in the previous quarter. Russia and Brazil are already in a recession. China’s economy, which accounts for 20% of the world’s industrial production, has likely fallen more than public GDP numbers have indicated. India is the exception thus far, due to a more diversified economy.